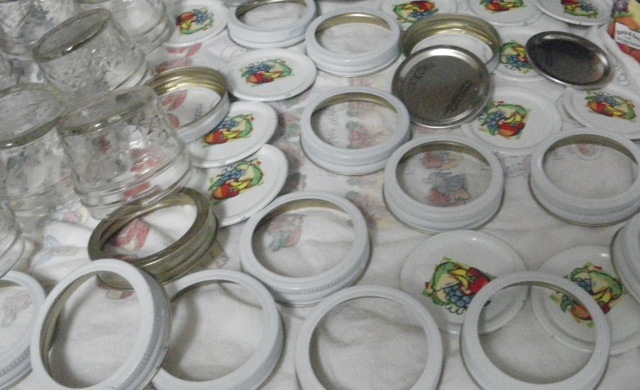 Make currant jelly before the currants, picked by Bruce, get moldy in the fridge. Ha ha Patti. There are MANY things I don’t do well, but I probably won’t put them on my blog! 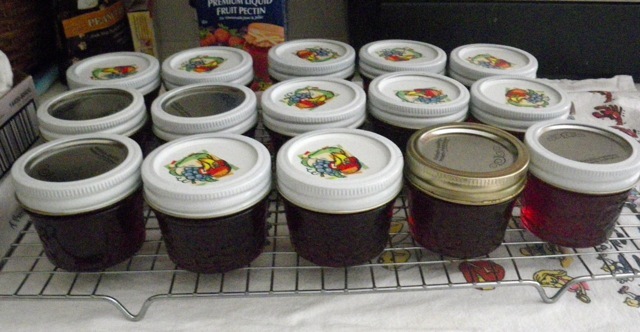 As it was, I was beating myself up over not getting the jelly made sooner…. I find that doing something in the kitchen is grounding for me. And my husband likes to have the toast and jelly. Yum!! Always reminds me of my dad. 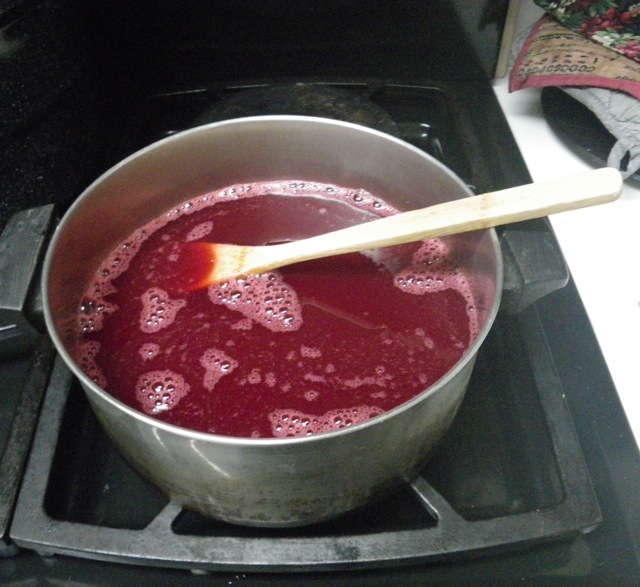 Currant jelly ALWAYS makes me think of your dad. Especially when it is between the layers of a chocolate cake! OMG! I LOVE currant jelly! It reminds me of my grandmother! But I bet yours is better than the one in the store! 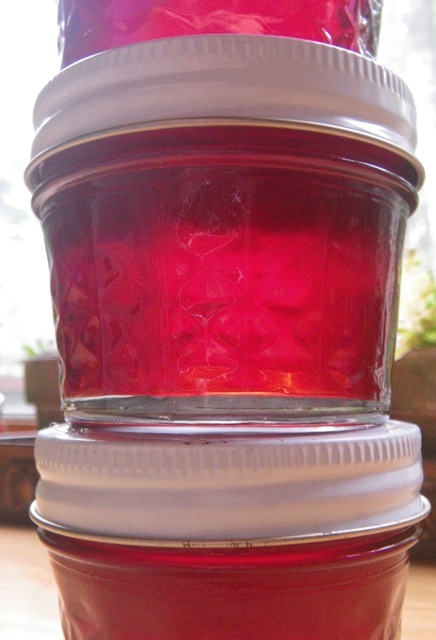 Let me guess–you’re gonna spread that jelly on some of your delectable homemade bread. Jealous! I like it on popovers. Hey, I’m pretty jealous of your incredible back yard with the pool and tropical landscaping! Yummy. I have blueberries in the freezer waiting to be made into jelly. Wonder when that will happen. Christmas? 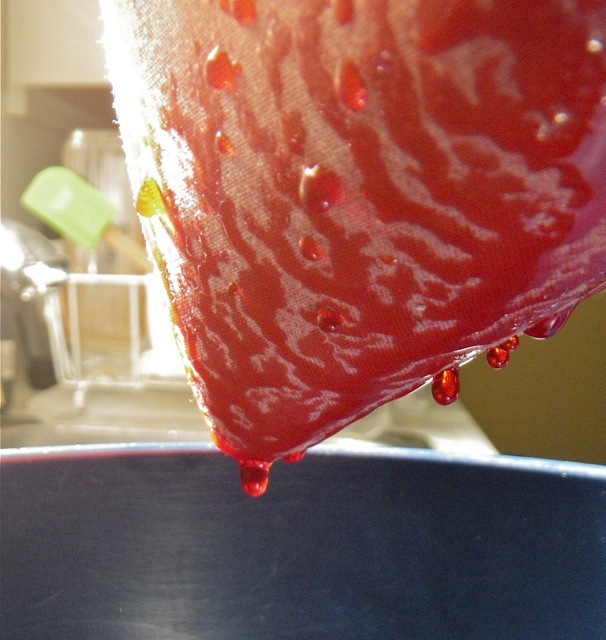 If it makes you feel better, I’ve had berries in the freezer for 2 years…waiting for me to make jelly. They still work! yum! what a gorgeous color! C’mon over next week for tea and popovers and currant jelly why don’tcha? and Happy Birthday (almost) Bruce!